No Boundaries International Art Colony took over Captain Charlie's Cottages for two weeks of furious art making. 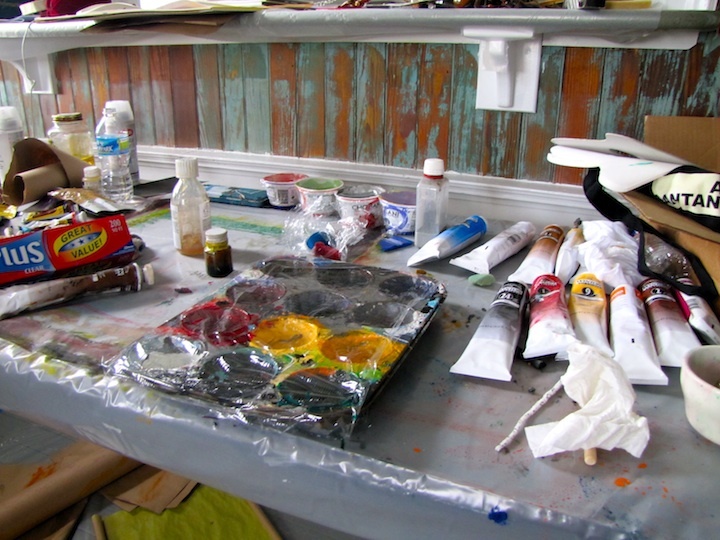 Three Wilmington artists started an art colony on Bald Head Island a few years ago. Now the No Boundaries International Art Colony brings artists from around the world to Bald Head Island for two weeks of art and camaraderie with fellow artists. I was lucky enough to visit No Boundaries for the second consecutive year and to attend their closing gala and gallery show. I wrote a story about it here. 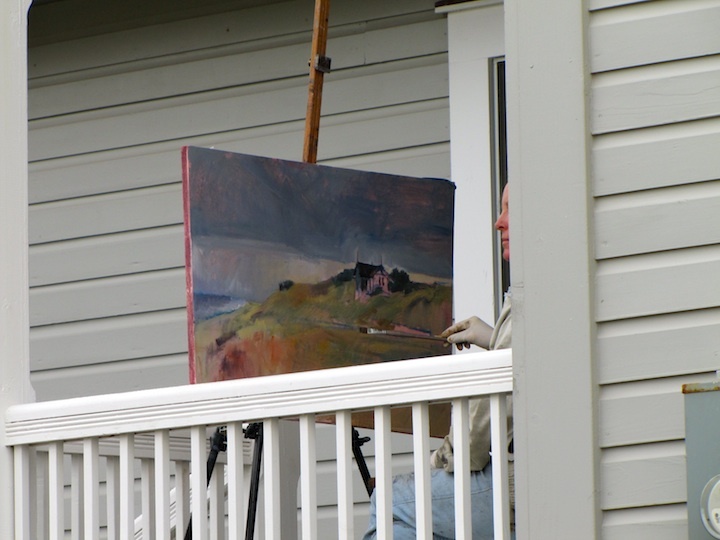 Shawn Best, director of The Woods Gallery on Bald Head Island, paints on the porch. Tubes and cups of color wait for the artists return. Dispatches From the Island Jorge Garcia’s hilarious blog. Explore Creative Writing The creative writing class my wife and I teach in Wilmington. Fedoroffin' Nick Fedoroff’s Blog. Good stuff. Further Dispatches Now that LOST is over, George Garcia has left the island and blogging on the mainland. The Bender Home Pete’s updates on his family, life and work. The Flat Broke Blog 30-something and blogging about it. The Grove Project Local citizen journalists in Wilmington, NC. 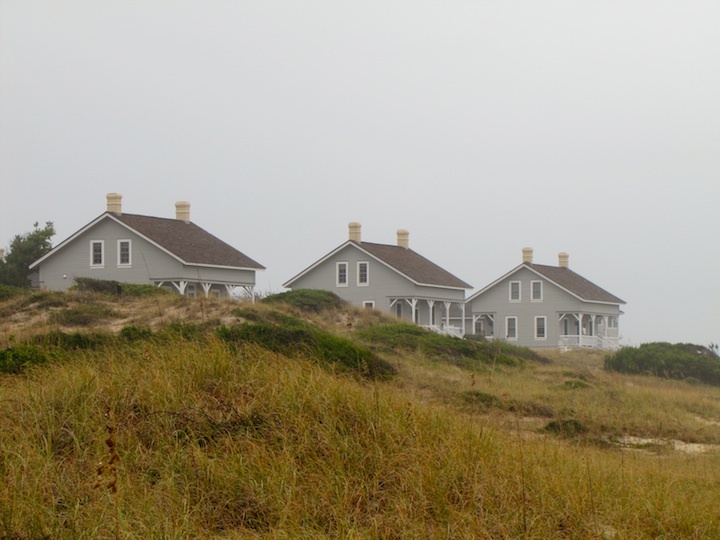 The Island Times: Bald Head Island's Blog The official blog of Bald Head Island. The Lo.Co. A blog about growing up with some funny kids. Follow me between posts on Twitter.